Saxon Blue is sulphated Indigo. 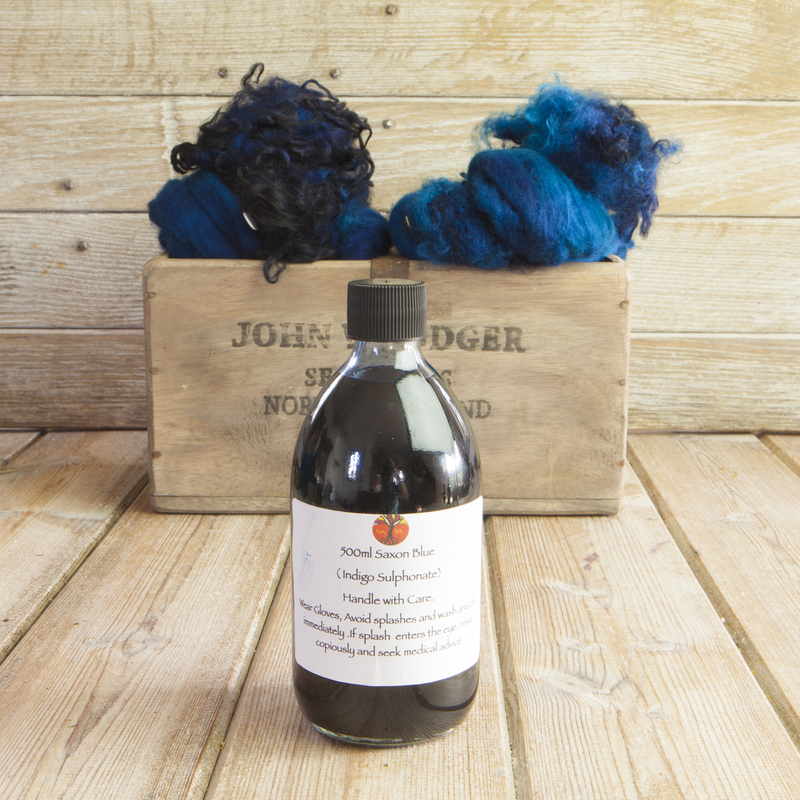 Made in my own studio to a 17th Century recipe it can be added to water to dye wool and silk fibres a deep rich turquoise Blue. Traditionally Saxon Blue is said to have a slightly poorer lightfastness than Indigo, but in my tests, the lightfastness was similar – Indigo dyed wool and Saxon Blue dyed wool were exposed to light in a north facing window for one month resulting in no loss of colour in either colour, which means that lightfastness is good. Saxon Blue dyed wool has a good washfastness but on silk the colour is less washfast, paling from mid-turquoise to a light-turquoise after 15 soapy washes. Rinsing in tepid water with no soap results in little loss of colour. The bottles come with instructions for use.